Collected in Juni 2018 in Niedersachsen. 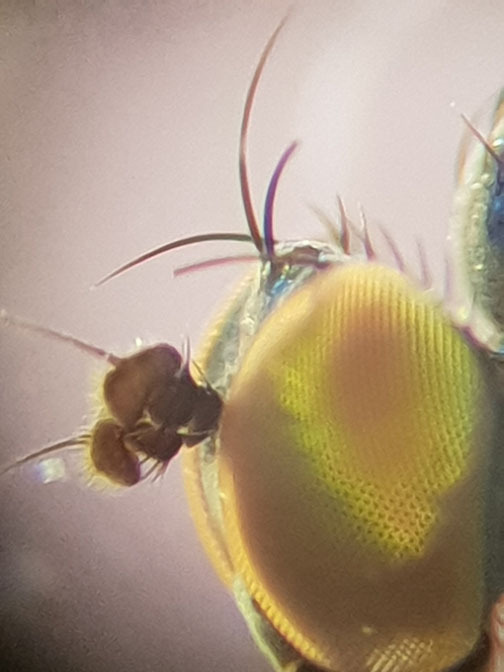 On first glance I thought Chrysotus (size, general build, hind coxal seta near base of coxa, two rows of acrostichals, face very narrow), but first antennal segment has dorsal setae. What am I missing? I think you found a Chrysotus that didn't read the key to genera. An alcohol material often contains wandering setae. Maybe it's a case. No, it is well fixed! Aberration. I almost blew the bulb of the light to be able to see the right first antennal segment (black left antenna giving a dark background) but there is no seta on it. 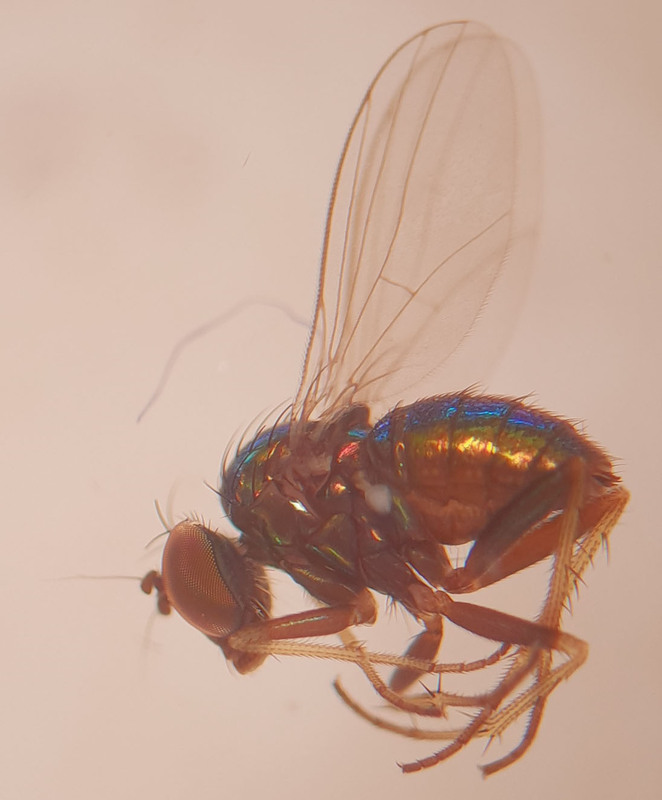 So, Chrysotus (likely gramineus), female.